At Care Images we are not political, nor are we partisan to one or other type of football team. Maybe that’s why Tim and Mark support Bolton Wanderers and Leyton Orient (respectably, not respectfully). 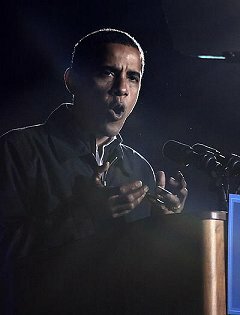 But we have a talented photographer Joel Rivlin, who lives in Washington DC and who delivered some wonderful images of Barack Obama in pre-election rally mode (type obama into our search box). Joel has really caught Obama’s strapline of ‘change’ in his images and we wish the President elect well in his new job. Who knows, Joel may well get invited to do a shoot at the White House. This is a time of change, and we want our images to reflect wider issues which affect policy on social care. Our strapline ‘representing the community’ is not just about the images we provide, it’s a nudge to policymakers to ensure services and provision are what people need.